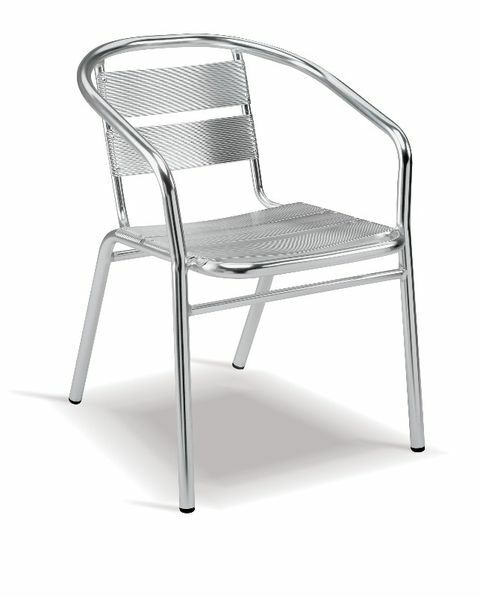 This beautiful chair is 100% aluminium with arms. The joints are well welded and not screwed in. The chair is very light and can easily be moved around. This chair is suitable for cafes, restaurants, coffee shops, banquets, conferences, some hotels, reception lobbies and private homes. It is very durable and can be used on outdoor patios as well as indoor.